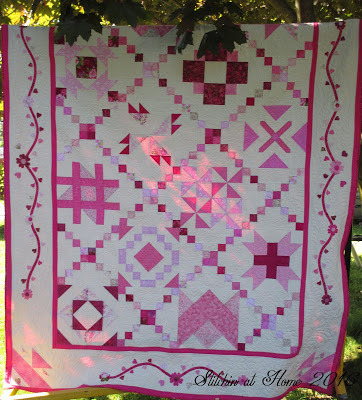 Amy of Amy's Creative Side is running the Quilters Bloggers Festival. My entry of a quilt in the large quilt category is Pinky you can read more about it here. I made this quilt as a result of making extra blocks when I ran my guild's BOM last year. 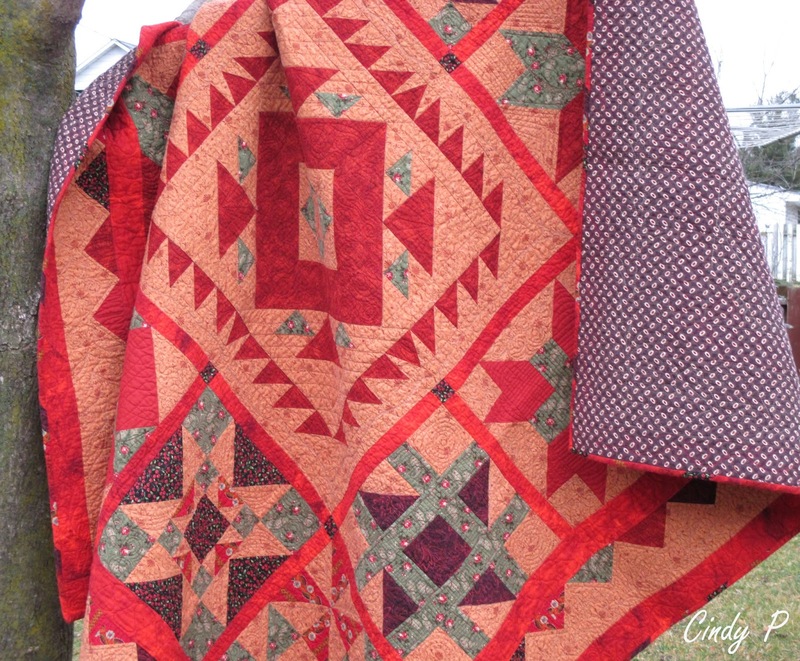 You can read about my medallion quilt here and here. I didn't want to make two of the same quilt even in different colour ways. Pinky now graces one of my granddaughters bed. I like this one. I don't remember seeing it before. Good luck. I remember this one! So glad you've put it in the festival so we get another look. Did your granddaughter let you snag it off her bed or did you use the original pics? !